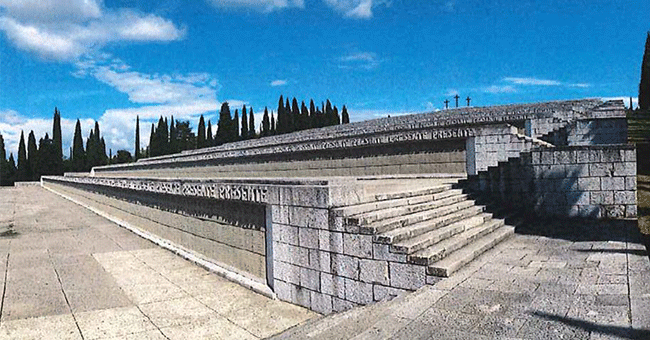 The restoration of Redipuglia military memorial and the construction of a WWI memorial in the House of the Italian Third Army are a first step towards the creation of a “remembrance network”. This process had already begun on the occasion of the celebrations for the 150th anniversary of Italian unification and aims at creating a system on the entire Italian territory thanks to which historic sites, trails, monuments, museums, narrative pathways and much more can become ways of telling stories and relating events which are long gone, but are still vividly present in the Italian collective memory. 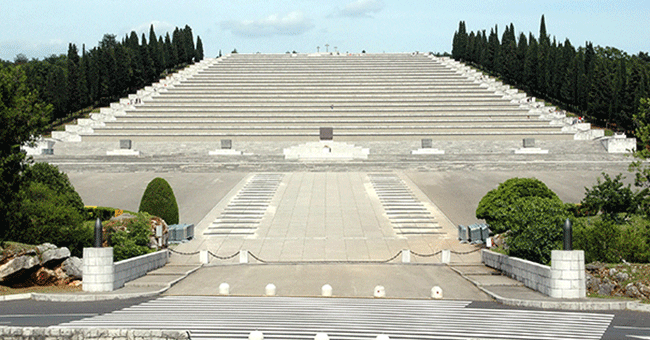 Designed by Architect Giovanni Greppi and sculptor Giannino Castiglioni, Redipuglia military memorial was opened in 1938. It is the largest and most impressive Italian military memorial commemorating the victims of WWI, and one of the largest in the world. 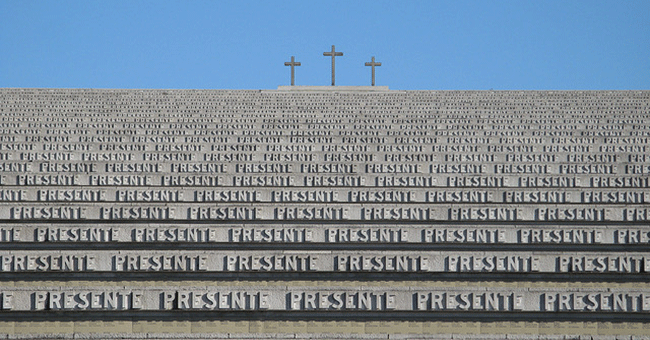 Entombed in the hillside are the remains of over a hundred thousand soldiers who died in the surrounding area (hence the Italian name dei Centomila [i.e. a memorial commemorating one hundred thousand soldiers]). Structured on three levels along the hillside of Monte Sei Busi, the memorial is made up of three main parts: the via Eroica, a square and the burial area. The military memorial is the centrepiece of a memorial park of over 100 hectares in the Karst region that was the scene of brutal battles during WWI. The restoration project will determine and tackle the memorial’s state of degradation while trying not to alter its architectural features, and will comprise three phases: first, the site’s degradation will be systematically assessed, then a rainwater drainage system will be implemented and finally original floors will be re-installed. The state of degradation and the type of monument mean that careful surveys will be needed to assess the current state of structures and their stability and to identify any deformations or alterations. 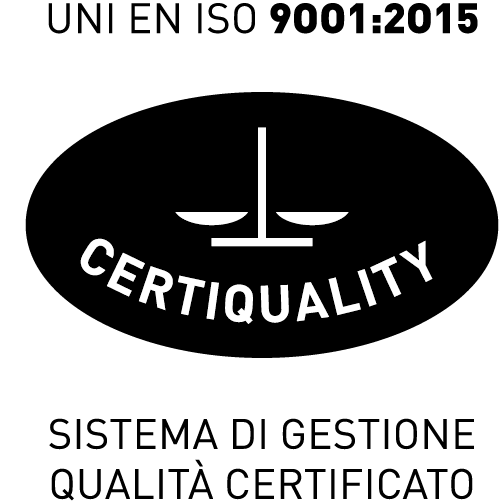 Each element will be subject to careful visual inspection and any defects, damage, cracks, uneven walls, hollows, signs of excessive deformation or separation will be recorded.